“Pelagos” is a two-masts motorsailer used for the research with citizen-science participants in the cetacean Sanctuary. The spacious and very comfortable Tethys boat is managed according to the rules of responsible tourism; it is equipped with sophisticated instrumentation used for navigation and the collection of scientific data. “Pelagos” has two masts and can sail and manoeuvre by means of a fully electronic system, that can be switched to manual at any time. An inflatable craft is sometimes used to get closer to the animals. 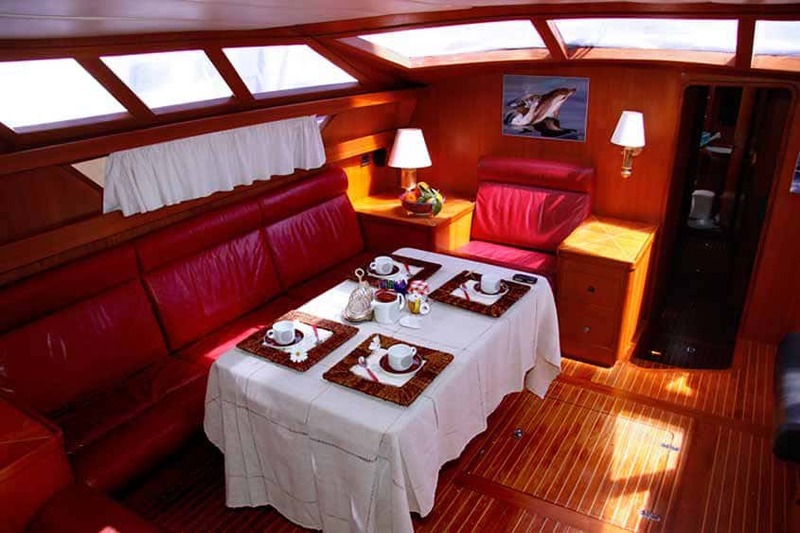 The surface of the deck and the inside of the boat are covered with teak wood. 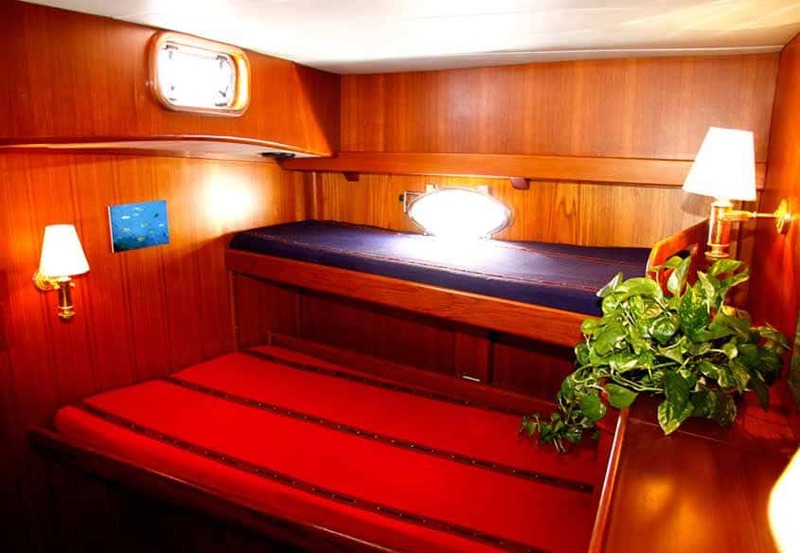 There are five cabins hosting up to 16 people (up to eleven participants, four researchers and the skipper). Each cabin has its own private bathroom with hot water. The skippers of Pelagos are members of the Flashvela sailing club in Sanremo and they are concerned with environmental issues and dedicated to sustainable tourism. They have collaborated with Tethys for a long time, gaining a solid knowledge of all aspects of data collection and research methods. In order to reduce environmental impact a green policy is followed on board. Only organic, non-toxic and biodegradable eco-friendly detergents are used on board. Since 2012 the vessel is cleaned only with eco-friendly detergents (organic,non-toxic and biodegradable), kindly provided by Biolù.